Named after a real-world phenomenon where players’ brains are so engrossed that images of the iconic falling Tetrimino blocks (i.e. 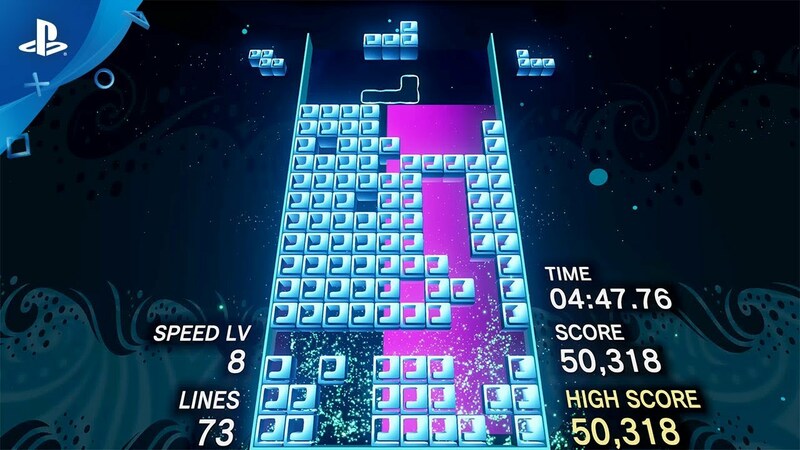 the Tetris playing pieces) linger in their vision, thoughts, and even dreams, Tetris Effect amplifies this magical feeling of total immersion by surrounding you with fantastic, fully three-dimensional worlds that react and evolve based on how you play. 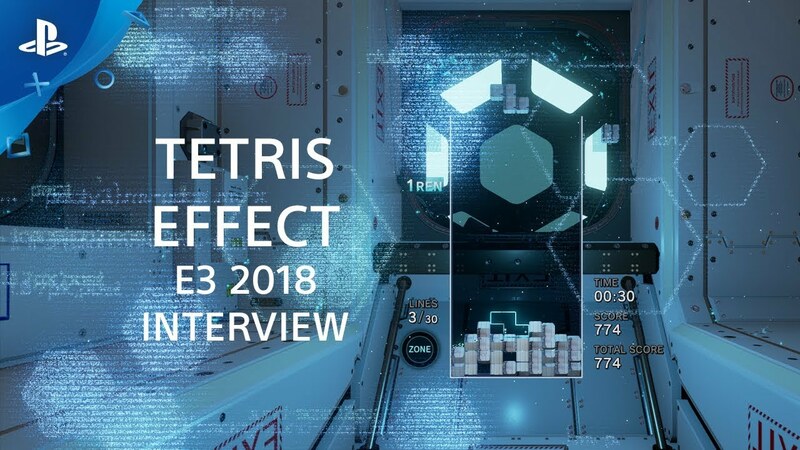 Music, backgrounds, sounds, special effects—everything, down to the Tetris pieces themselves, pulse, dance, shimmer, and explode in perfect sync with how you're playing, making for a game you'll want to experience over and over for days, weeks, and months. 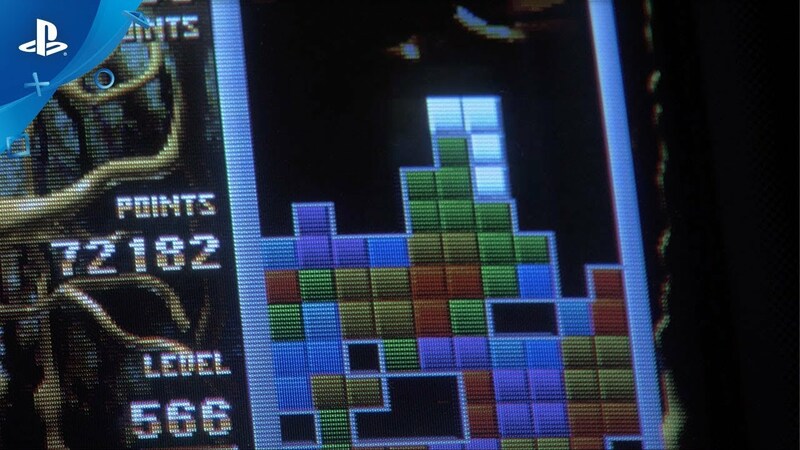 The core of the game is still Tetris—one of the most popular puzzle games of all time—but like you've never seen it, or heard it, or felt it before. 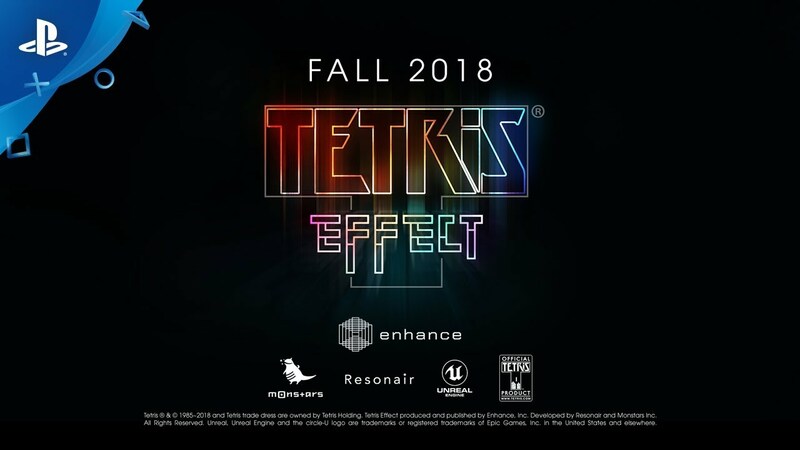 Includes the all-new “Zone” mechanic, where players can stop time (and Tetriminos falling) by entering “the Zone” and either get out of a sticky situation, or rack up extra line clears for bonus rewards. Fan-favorite modes like Marathon, Sprint, and Ultra, with more all-new modes and online features to be revealed before launch.